A reliable global market analysis but also a must-have planning reference for PV stakeholders willing to drive their business on advanced market intelligence. The PVMA Global PV Market Report 2018-2022 will be available in October 2018. It is the 3rd release of a 5 years global PV market outlook study produced annually by the PV Market Alliance. The PVMA Global PV Market Report is an indispensable planning reference for PV stakeholders from all over the world willing to drive their business on advanced market intelligence. The understanding of the PV market has increased over years but remains often a jump into the unknown. From incoherent policy decisions to fast price declines, the PV market has experienced a decade of intense evolutions that led to the 100 GW that it reached in 2017. According to the PV Market Alliance, these 100 GW represented a 25 GW increase compared to 2016 numbers, with almost 19 GW coming from China alone. In other words, the PV market outside of the Chinese market giant, grew from 41 GW in 2016 to 47 GW in 2017. These numbers highlight the chaotic evolution of the global PV market but also its capacity to continue growing to reach new heights. PV has now reached almost all regions of the world, with different evolutions. 53 GW installed in China could be compared (population-wise) with 400 MW in Belgium or 3.2 GW in Germany for instance. A level slightly higher than the real market development in 2017 in these countries, but which remains easily reachable. The same level has not been reached yet in emerging markets, such as India, Brazil or many others, which is leaving the door open to some further developments in the coming years. 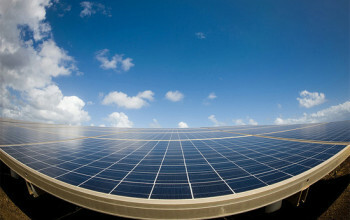 But which development can be expected and which are the conditions to see an even larger PV market emerging? Not so far away in time, people announcing a 250 GW PV market per year were mocked as crazy dreamers. When the market was about 5 GW in 2008, such a number looked at best crazy: PV was far from being competitive with any other electricity source and the market fully driven by financial incentives. But in 2017, the world installed close to 100 GW of PV systems. Would the growth from the last five years be repeated until 2022, 300 GW would be reached. While final numbers from the PV Market Alliance are not out yet, the conclusion is quite simple: 100 GW will soon become the new normal and the market will continue to grow in the medium term. Europe will continue to lag behind, thanks to the conservatism of many utilities but China, India, and emerging countries will largely compensate. In addition to this, BIPV and TIPV (for transport integrated photovoltaics) will develop, bringing PV to new heights. But if 250 GW is needed to contribute positively to decarbonize the global electricity mix, PV has the potential for a landslide, with a possible 1000 GW a year, in case of an accelerated energy transition. And the question seems more to be when it will really start than whether it will happen. The competitiveness potential is definitively there, and many still try to catch up with this real reality. Solar fuels, the electrification of heating, and transport will call for more electricity generation, from the cheapest sources. The landslide could potentially happen, but much remains to be done to ensure a smooth and efficient development of PV. 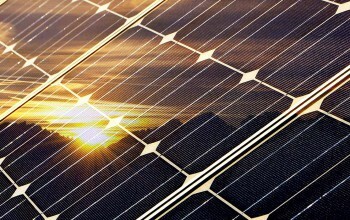 Distributed applications remain too expensive in many countries and too complex to implement in others; utility-scale applications are thriving but require from modules manufacturers and other components providers to operate with reduced margins; innovative end-products which are announced for years such as BIPV components are still confined in niche markets. 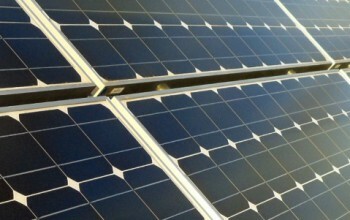 In other words, the challenges for an accelerated penetration of PV are still numerous. But the potential is so bright to PV could dwarf most other sources of energy in this century. And become the real game changer. 2016 does not escape these PV rituals and while the global PV market seemed to be finally under control, with a reasonable growth rate coming from developing markets, the surprise came from China, again. With enough installations in the first two-quarters to beat any other country, China will push the global PV market indicators into the range of 65-70 GW (according to the latest report from the PV Market Alliance) this year. Coming from 50 GW in 2015, the growth is so significant that it might have surprised many spectators. It also seamed that the years of unforeseeable PV growth rates were apparently behind us and with an evolving market the industry could finally manage its future without the chaotic events that we experienced in the last decade. The declining PV market, the complex situation in Europe, and a decreasing market in China won’t be compensated by the expected growth in the US (but will it last until 2017? ), India, and other emerging countries. This unfortunately could postpone most capacity expansions for the near future. Interestingly, 0,38 USD/Wp as a minimum price for PV modules tends to confirm the hypothesis of a steeper-than-expected price learning curve for crystalline silicon modules. Of course, during consolidation times, with reduced demand, the long-term learning curve doesn’t really indicate the future anymore but it tends to confirm that the PV industry costs went down faster than expected due to different economical conditions in Asia. In the same way, at least two major players in the top 10 announced recently that they could be able (the conditional is essential) to produce around 0,25 USD/Wp at the horizon 2020. The PV Market Alliance uncovers today the first release of its annual PV Global Market Report. According to the PV Market Alliance, global PV markets will grow this year close to 50 GW, fuelled, as in 2014, mainly by growth in China, Japan, the USA and some emerging countries. European markets are expected to stabilize after the steep decline observed since 2011, while India’s potential will start to impact the global market. The PV Market Alliance estimates photovoltaic installations of 40 to 42 GW in 2014 after final numbers for 2013 were revised down to 37 GW. After 37 GW of PV installations in 2013 (below the 40 GW figure announced earlier due to lower final Chinese figures), 2014 experienced a moderate growth with a market stabilizing above 40 GW and up to 42 GW, depending on actual Q4 installations. Emerging business models that engage electricity consumers are driving a resurgence of distributed generation PV installations worldwide even as utility scale deployment continues to drive installations. Strong progress was observed in several regions, including Asia, North and Latin America and South Africa.